A Perfect way to celebrate with your friends and a perfect location! We look forward to making sure you have 100% MAXIMUM FUN! We have a perfect beach and a a great team of friendly and fun instuctors to keep you and all your friends safe and make sure you all have 100% fun surfing! We also have a fantastic beach restaurant and beach bar. Fantastic views and great food and drinks, perfect for relaxing and chilling out after surfing. We also provide showers and beach facilities and safe storage for all your personal and valuable items. Apart from the surfing we can also provide beach volleyball and set up beach football. Please also check our other activities we offer these can be combined on the same day with surfing. 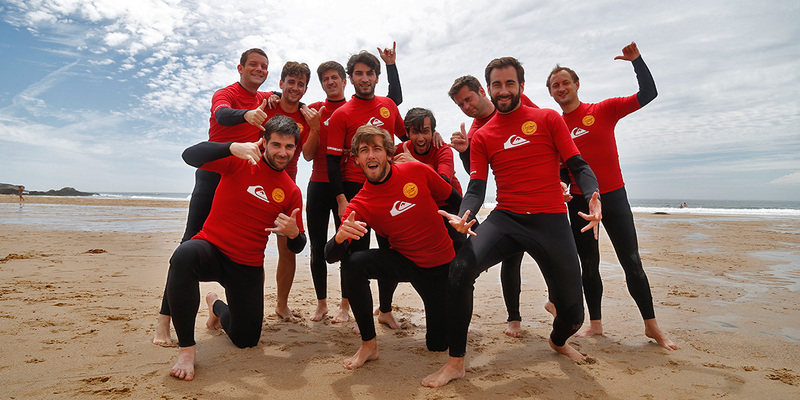 You can do a surf class with your group and then do a sunset cruise from Cascais Marina/Lisbon Marina or some quad biking or stand up paddle boarding. All the options are close to the surf school and can be done easily on the same day. We also provide transport with our shuttle and bus services from Lisbon if you require. We can transport large groups also. 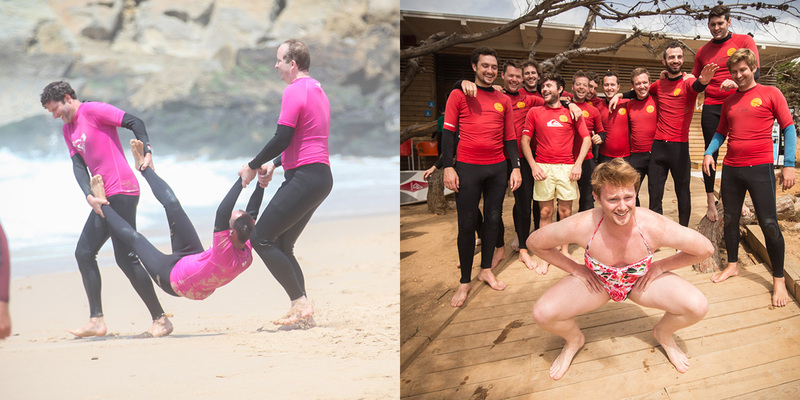 We have years of experience in making sure you and your friends have a great day at Moana Surf School. Hope to see you here soon and share a great day with you all! Also if you have any questions about night life in lisbon or need any other help please just contact us.